The idea of staying in a thatched hut on a tropical beach has nearly universal appeal—the beauty of it, the seclusion, the connection to nature, the lack of televisions and telephones and hectic bustle of life, the napping in hammocks to the sound of the waves, the perfect beaches and swims in the ocean . . . what’s not to like? Well, for one thing most thatched huts don’t have indoor plumbing. Or outdoor plumbing. Or electricity. Or a bed devoid of sand bugs, to say nothing of a private whirlpool or a location near a superb spa and romantic restaurant. For a stay in a thatched hut that doesn’t feel like you are taking part in an endurance contest or an episode of Survivor there’s the Kona Village Resort on the northwest coast of Hawaii Island. 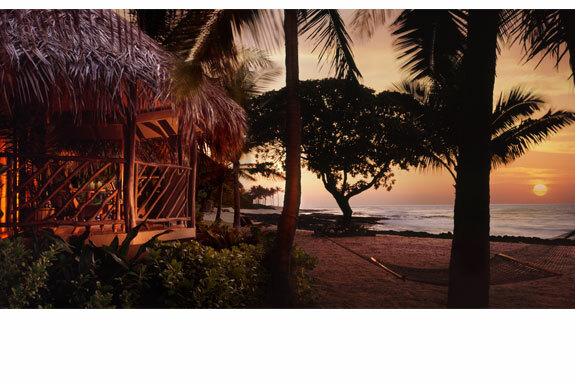 Kona Village is a resort for relaxation seekers, hammock lovers and sophisticated beach bums who want a healthy dose of luxury with their thatched hut stay. Kona Village’s 82 huts—they are called “hale,” a Hawaiian word that’s the same in singular and plural form—are spread out across three ecological zones: lava, lagoon and sand. The lava field consists of spectacular black rock formations. 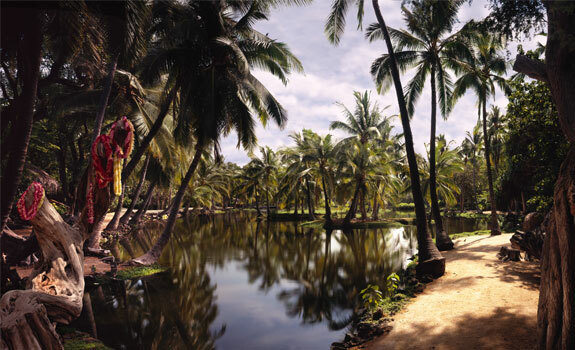 The lagoon offers lush tropical surroundings graced by colorful birds and flowers. The sand zone is a palm tree-laden beach where green sea turtles outnumber people in the afternoon hours. If there’s a Hawaiian resort that encompasses as much ecological diversity as Kona Village we don’t know about it. 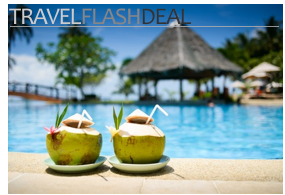 We also don’t know of any other Hawaiian resorts that include as many amenities and activities in the room rate. Laundry service, coffee and pastries, a variety of guided tours, use of tennis equipment, snorkeling gear, kayaks, sailboats, surfboards and boggie boards, Hawaiian arts & crafts lessons, child care programs, nightly bar entertainment, a Tuesday cocktail reception, and a Wednesday and Friday lu’au are among the complementary amenities! Some rate plans include breakfast, lunch and dinner too. There’s also a plethora of other activities such as deep sea fishing and scuba diving. As for the hale, none have telephones or televisions. (Even at the Kona Village we image you’d want to read the latest Spot Cool Stuff posts, and for that you can use the internet at their concierge office). All of the hale do have plush beds and luxurious furnishings. 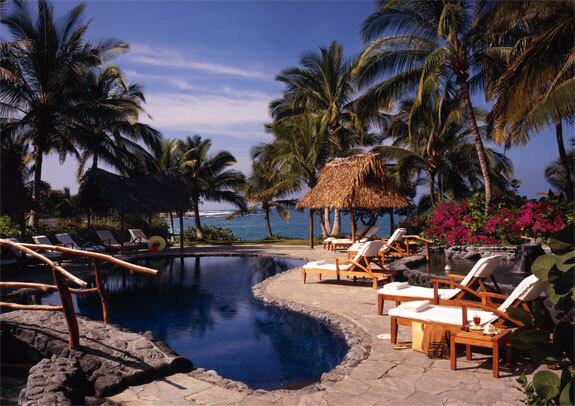 After all, the resort is a favorite among Hawaii-bound celebrities and power brokers, Apple CEO Steve Jobs among others. Hale are divided into five price categories. Here’s our favorite hale in each category, arranged for most to least expensive. The “style” refers to the type of hale—see the sketch drawings below. Royal: Hale SM1-9. 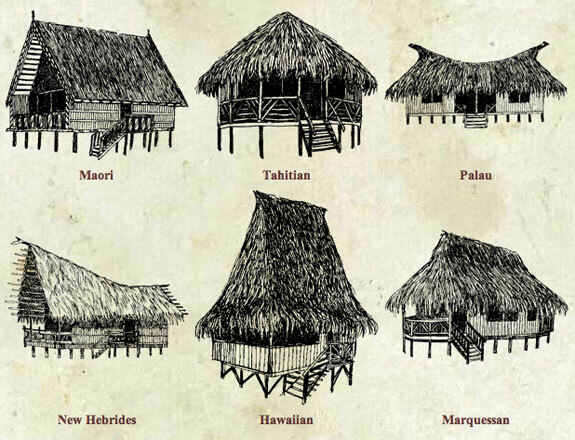 Marquesan style. Secluded at the end of the beach. Has a whirl pool on a private deck. Deluxe: Hale ST1-10. Tahitian style (our favorite). Right behind the SM1-9 hale (above) a few steps from the beach. Superior: Hale M4-9. Maori style (better than the Samoan style used by most hale in this category). Dramatic setting in the lava field. Includes a wonderful balcony. Garden: Hale PM1-4. Marquesan style. 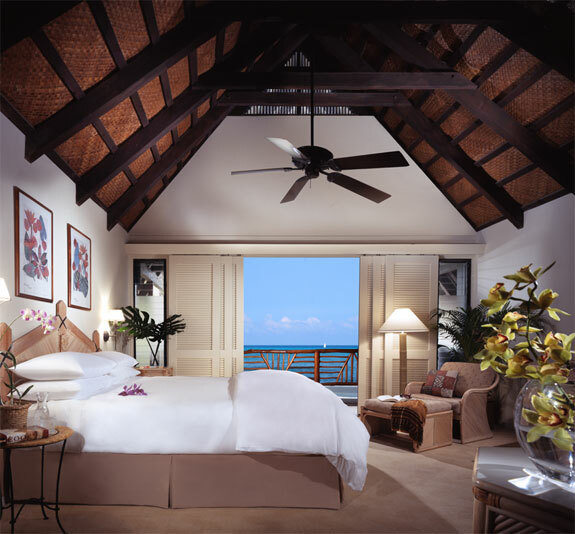 A two-room suite in a secluded spot on the edge of the lagoon. Deluxe: Hale F1-7. Fijian style. This hale’s view of the lagoon is the best of any in this category. 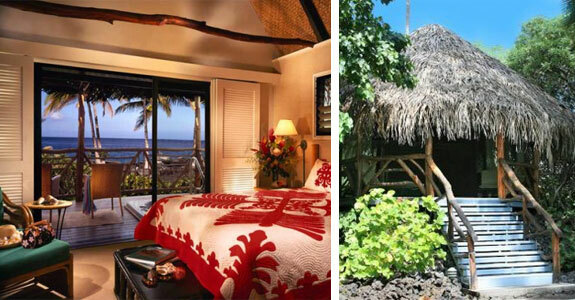 At the Kona Village Resort the idea of staying in a thatched hut is wonderful. And so is the reality. this place closed down in 2011 due to earthquakes and what not. Sorry to hear that. But thank you for the update!